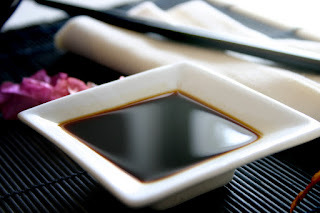 Soy sauce (also called soya sauce is a condiment produced by fermenting soybeans with Aspergillus oryzae or Aspergillus sojae molds, along with water and salt. After the fermentation, which yields fermented soybean paste, the paste is pressed, and two substances are obtained: a liquid, which is the soy sauce, and a cake of (wheat and) soy residue, the latter being usually reused as animal feed. Most commonly, a grain is used together with the soybeans in the fermentation process, but not always. Also, some varieties use roasted grain. Soy sauce is a traditional ingredient in East and Southeast Asian cuisines, where it is used in cooking and as a condiment. It originated in China 2,800 years ago and spread throughout Asia. In more recent times, it is also used in Western cuisine and prepared foods. All varieties of soy sauce are salty, earthy, brownish liquids intended to season food while cooking or at the table. Datu Puti Soy Sauce is more than just plain salty. It’s sweet salty aroma can stir up one’s appetite and deliver the same delectable aromatic promise in taste. 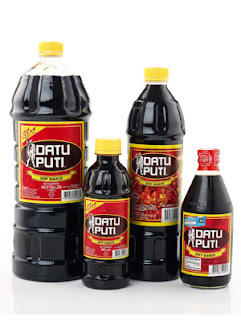 Datu Puti Soy Sauce’s fullness in flavor seeps into your well-loved dishes making them tasty. Just by its aroma, you can be sure that your dishes can please anyone’s palate. Datu Puti Soy Sauce, Lakbay Sarap.